Since the start of June until now, Guantanamo has seen the arrival of roughly 180 new prisoners, increasing the total number to 564. With a maximum capacity of Camp Delta is 612, the facility will soon be full. [American Forces Press Service, 1/14/2003] The number will stay level at around 600 (see Mid-October 2002), meaning that the interrogators at the Bagram sifting-station will have to be more discerning about who to send over. 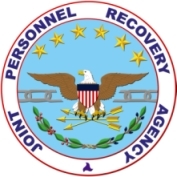 Joint Personnel Recovery Agency logo. 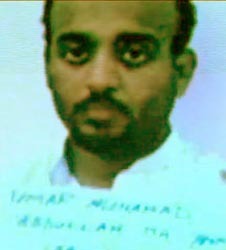 [Source: US Air Force]The Joint Personnel Recovery Agency (JPRA), the Pentagon agency tasked with advising the Defense Department on the use of harsh interrogation techniques—torture—against suspected terrorists in US custody (see December 2001), sends an unsigned memo to the Pentagon’s chief counsel, William Haynes, advising him that the use of such methods would constitute “torture,” and would produce “unreliable information” from torture victims. Memo Warned of Torture Would Produce Bad Information - “The requirement to obtain information from an uncooperative source as quickly as possible—in time to prevent, for example, an impending terrorist attack that could result in loss of life—has been forwarded as a compelling argument for the use of torture,” the document reads. “In essence, physical and/or psychological duress are viewed as an alternative to the more time-consuming conventional interrogation process. The error inherent in this line of thinking is the assumption that, through torture, the interrogator can extract reliable and accurate information. History and a consideration of human behavior would appear to refute this assumption.” The key deficiency of physical or psychological duress is the reliability and accuracy of the information gained, the memo says. “A subject in pain may provide an answer, any answer, or many answers in order to get the pain to stop.” The memo also warns that the use of torture by the US could influence US enemies to torture American captives: “The unintended consequence of a US policy that provides for the torture of prisoners is that it could be used by our adversaries as justification for the torture of captured US personnel.” It concludes that “the application of extreme physical and/or psychological duress (torture) has some serious operational deficits, most notably the potential to result in unreliable information.” The word “extreme” is underlined. Also Sent to CIA - Besides Haynes, the memo is forwarded to the Pentagon’s Office of the General Counsel, and apparently to CIA chief counsel John Rizzo and the Justice Department. It is unclear whether high-ranking White House officials will see the document. The Los Angeles Times reports that “despite intense interrogations and investigations,” no senior al-Qaeda leaders appear to be amongst the nearly 600 detainees at the Guantanamo prison. One US official says that some usual intelligence has been gained from the detainees, but “it’s not roll-up-plots, knock-your-socks-off-kind of stuff.” This official says the detainees are mostly “low-and middle-level” fighters and supporters, not “the big-time guys” high enough to help unravel plots and understand al-Qaeda’s structure. Another official similarly says there are “no big fish” there. “Some of these guys literally don’t know the world is round.” The Times also notes that several European countries “have quietly offered to take prisoners home and put them on trial if US officials can provide evidence that they have committed a crime.” But none has been released for trial so far. [Los Angeles Times, 8/18/2002] The New York Times will confirm in June 2004 that no al-Qaeda or Taliban leaders are being held at the prison and that in fact the vast majority are innocent of any militant connections (see June 21, 2004). 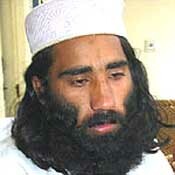 Some al-Qaeda leaders will be sent into the prison from secret CIA prisons in September 2006 (see September 2-3, 2006). Some congressional leaders are reportedly briefed on the CIA’s detainee interrogation program, but what is actually said will later be disputed. The briefing is described as “a virtual tour of the CIA’s overseas detention sites and the harsh techniques interrogators had devised to try to make their prisoners talk,” and apparently mentions waterboarding and information gleaned from detainees, according to two unnamed officials who are present and will later talk to the Washington Post. Although some members of both the House and Senate intelligence committees are briefed about a CIA detainee interrogation program around this time (see September 2002), the briefing is not received by all committee members. Senate Intelligence Committee chairman Bob Graham (D-FL) will later say that the information is not shared with all committee members because the activities are regarded as covert. Within the intelligence committees, the information is restricted to the “gang of four”—the two top members from each committee. Graham will later complain about this: “Not only should I have been briefed [about the CIA interrogation program] but the entire committee [should have] been briefed. The only basis for what they called these covert gang of four briefings is where the president has indicated there’s an action that’s being undertaken for which the United States wants to have deniability. It’s not a blanket for every subject that the intelligence community might be involved with. 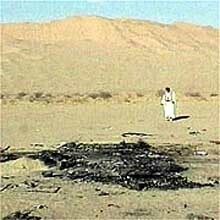 In my judgment, this was not a covert operation and should have been briefed to the entire intelligence committee.” [CNN, 12/13/2007] However, President Bush, who would usually be briefed on activities like the interrogation program, is not briefed on it, precisely because it is not regarded as a covert activity, but is classified as a normal part of “intelligence collection” (see April 2002 and After). The Department of Defense announces the assignment of Maj. Gen. Geoffrey D. Miller as commander of the Guantanamo prison. 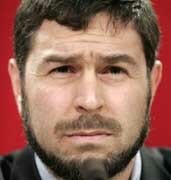 [US Department of Defense, 9/20/2002] He will assume his position in November. The prison population of Guantanamo is reported to stand at 598, very close to its ideal maximum capacity of about 600. [Guardian, 10/16/2002] Its population will reach a maximum of about 660 in July 2003 (see July 18, 2003).